The desire to see students succeed: it’s a motivating force for every teacher. But even the most well-intentioned teacher can struggle to find a balance between providing support for students without solving problems or answering questions for them. We want so much for students to thrive—sometimes it’s hard to know when to step back! Who’s Doing the Work? 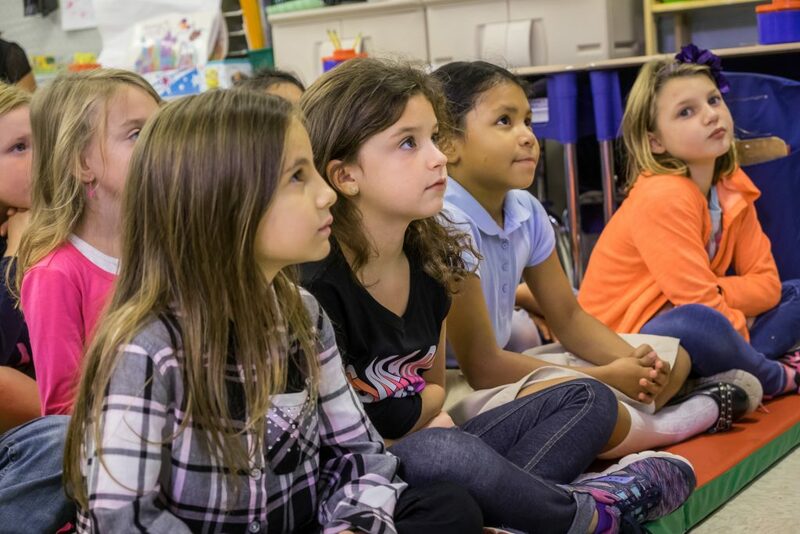 Lesson Sets help K–2 teachers learn how to trust their intuition and understand when to step back so developing readers can move forward. Who’s Doing the Work? 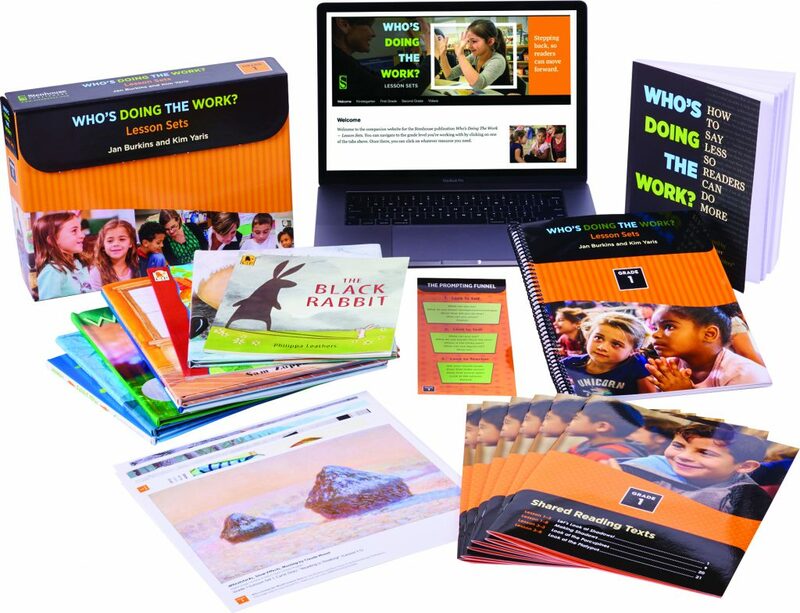 Lesson Sets feature practical lessons that support teachers as they learn how to ask good questions; use wait time to encourage student response; employ group and partner work to empower communication among peers; use anchor charts to track and reinforce strategies; and inspire students to think strategically when approaching a new text. As students assume more responsibility for how to question and think about what they know, they amass confidence in their ability to read and interpret text. NOW AVAILABLE: Watch our free webinar with Jan and Kim as they share ideas on how to boost your reading instruction! 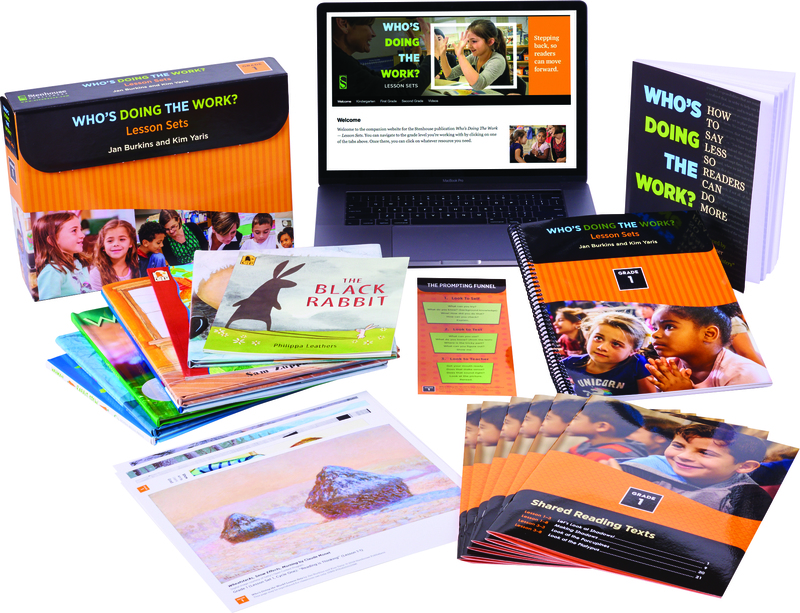 Download our free lesson sampler with important background information about the lesson sets, as well as an annotated version of five lessons from Grade 1, Lesson Set 1, Reading is Thinking: Asking and Answering Questions. The sampler will walk you through a full cycle of five lessons from Reading Art to Read Aloud, Shared Reading, Guided Reading, and Independent Reading.